We all know what it feels like to absorb other people’s energy, and it can be exhausting! Whether you work with people or “have to” spend time with family over the holidays, now is the perfect time to learn how to maintain your good vibes no matter who comes around. We all have the power to create and maintain good vibes; Magical Yogi, Brittany Boles, offers tools and techniques to harness our potential for peace both on and off the mat. Magic is real, and it’s everything. Einstein said, “everything is energy;” what if magic is energy? Or, rather, what if “magic” is the way that energy interacts with itself, and our intrinsic ability to influence these interactions? This is the foundation of Brittany’s philosophy and the basis of her whimsical, intelligent, and spiritual teaching style. 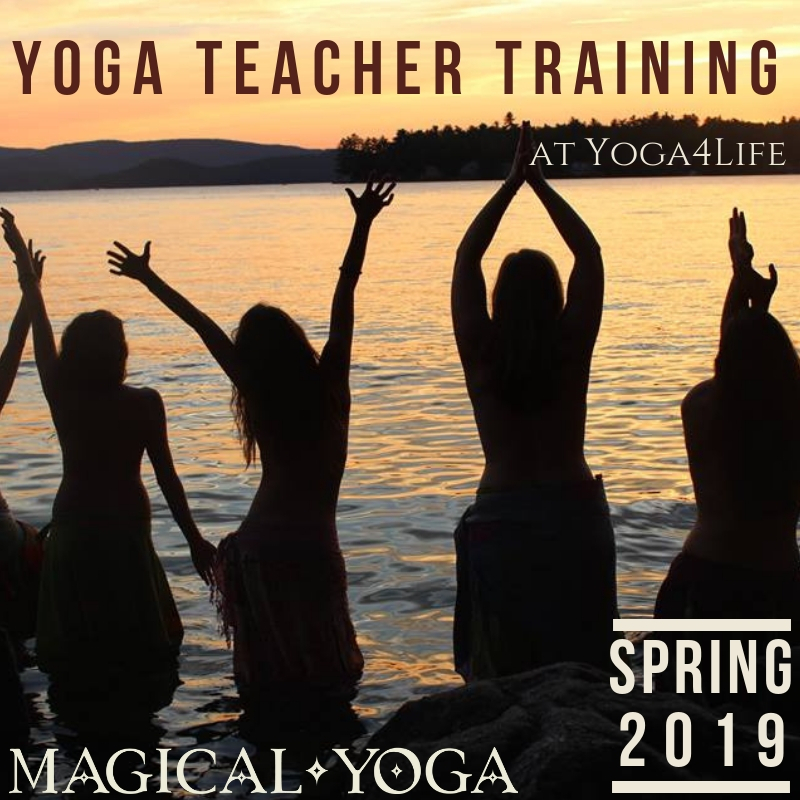 In addition to owning Magical Yoga studio in Wolfeboro, New Hampshire, Brittany Boles is an intuitive, yoga teacher, reiki master, author, and inspirational speaker who has been leading groups and mentoring individuals since 2012. “Still, what I want in my life is to be willing to be dazzled— to cast aside the weight of facts and maybe even to float a little above this difficult world. I want to believe I am looking into the white fire of a great mystery. I want to believe that the imperfections are nothing— that the light is everything—that it is more than the sum of each flawed blossom rising and falling. And I do.” - Mary Oliver .... and I do, too. These are the things that we do. Victims of trauma, orphans, People Who Have Lost - call it what we will, the hungry fear shadow lives like a speck inside each bubble of joy. She writes it best, my little sister, that story of our mother and the tiny valentine hearts. I know that’s why she sent the sparkly little flowers: because, in case she dies, we’ll find these reminders of her love scattered in unexpected places, like glitter-memories, for years to come. I save voicemails just so I can listen to the voices of the people I love .... in case they die. I save cards so I can always remember the love, see their writing, hold them close. “Poverty mentality” is about more than money. It’s a conditioning to disappointment. This mindset is really a HEARTset born of repeated, soul crushing disappointments big and small. Big, like when your mom breaks outta rehab to drunkenly burn down your apartment on Easter. Small, like when you can’t go to the dance because nobody is sober enough to bring you. These pile up in our hearts like bricks, and, after a while, a wall forms to protect us - not from pain - but from believing. Poverty mentality isn’t about money. It’s about steeling ourselves from the seemingly inevitable pain of loss. Each tiny flower is sparkling here in front of me now, today, and I know that my sister’s eyes are sparkling the same. I believe in us. But ..... I’m still not throwing them away.